SEA Games 2013 Day 6 was a productive day for Thailand, which added 14 golds, 5 silvers, and 9 bronzes to its medal haul. The Thai contingent has so far harvested 153 medals (59-45-49) in total, topping the medal rankings. The same thing can be said to the Vietnamese team, which gathered 8 golds, 4 silvers and 2 bronzes, today. Vietnam is now second in the medal tally with 43-36-43. 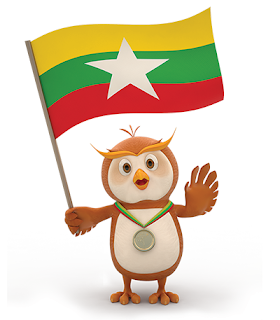 Second in the standings yesterday, host country Myanmar has fallen to the third spot with 39-38-41 but still quite impressive considering it only gathered a total of 16 gold medals in the previous edition of SEA Games, 2 years ago. Indonesia, Malaysia, Singapore retained their placements -- 4th, 5th and 6th, respectively. Meanwhile, the Philippines remains at 7th in the tally with 12-18-24, 11 medals more than yesterday.